The Mills at Jersey Gardens is a big indoor shopping mall in New Jersey. If you’re planning a big shopping spree, you have a few options while in New York. Woodbury Common is a great outdoor outlet where you can shop discounted designer products in over 200 shops. 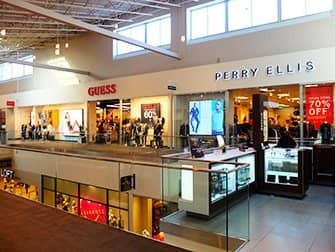 The Mills at Jersey Gardens is a smaller indoor mall that also offers over 200 shops all under the same roof, there are regular shops and outlet shops. Both the mall and the outlet are easy to reach from Manhattan. Jersey Gardens is not strictly an outlet mall though it has a number of outlet shops. 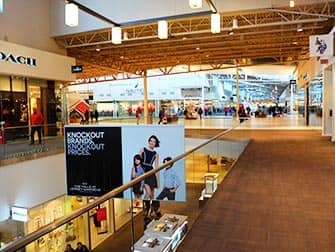 However, it does offer a good selection of stores and even has a cinema so your partner can go to the movies while you shop through the mall. A win-win if you ask me. 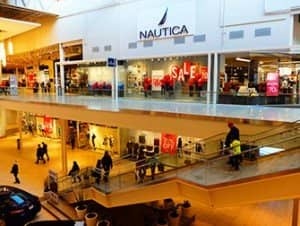 You’ll find various high-street stores there but also department stores like Neiman Marcus and Saks Fifth Avenue. Stock up on the latest fashion at Banana Republic, Abercrombie & Fitch, Tommy Hilfiger and Nike among many more. Upon arrival you’ll be handed a “Savings Passport” where you find all the discounts. You will also receive a detailed map of the mall so you won’t miss any stores. Erics Tip: If you’re thinking of buying electronics, you’ll be happy to know that the tax on electronics at Jersey Gardens is only 3.5% which is half of the regular 7% sales tax in New Jersey. Also there’s no tax on clothing. The easiest, most convenient way to travel to Jersey Gardens is by booking a shuttle via the link below. If you prefer a cheaper option, you can take a bus. The buses that bring you to The Mills at Jersey Gardens leave from Port Authority on 8th Avenue in Manhattan. You can purchase tickets from a vending machine. Buy a ticket that allows you to travel through 4 zones to get to the Jersey Gardens. You can take bus number 111 or 115. Buses are ran by NJ Transit and it will take about 30-45 minutes to get to the mall. Expect a longer ride home because of the traffic. Eric’s Tip: When you’re ready to go back to New York, make sure to wait for the bus outside at the bus stop. The bus fills up fast so you want to be at the bus stop 10-15 minutes before it leaves.